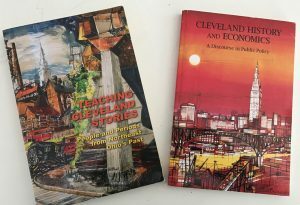 Welcome to the Teaching Cleveland Digital Library, an open source, totally free searchable knowledge base of Cleveland/Northeast Ohio history and public policy for teachers, students. . .anybody. It consists of material from journalists, academics, historians, students and others. Links can change, so please let us know if a link, file or page fails to open. Thanks. 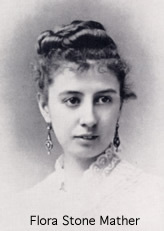 Francis Payne Bolton had a long career as a U.S. congresswoman. But she is probably best known for her advocacy for nursing and nursing education. 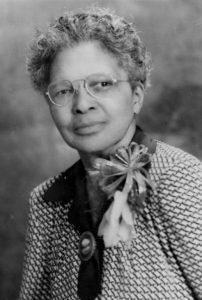 She helped to found a separate nursing college at Western Reserve in 1923. Frank Scott was a self made man rising to become President of Warner & Swasey Company. 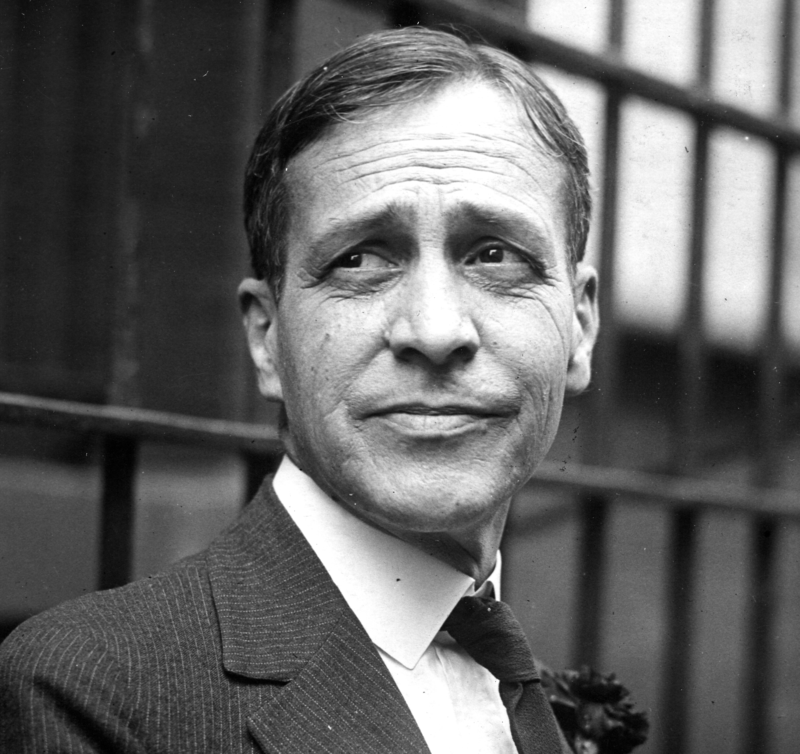 He was brought to Washington D.C. during World War 1 by Secrertary of War Newton D. Baker to become Chairman of the War Industries Board, an organization that attempted to bring together and organize industrial production for the war effort. It was an incredibly difficult job as each arm of the miitary tried to keep control over their own supplies which led to inefficiency. Mt. Scott finally collapsed physically and had to resign. He went on to become a highly respected business and civic leader in Cleveland. Belle Sherwin was a noted feminist, social service and civic leader. 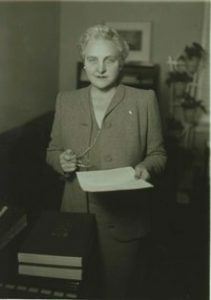 A daughter of Sherwin Williams founder, Henry Sherwin, Ms. Sherwin was the first President of the Consumers League of Ohio in 1900. 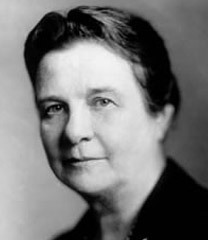 She was a Director with the Cleveland Welfare Federation (today’s United Way) between 1900 – 1914 and then she went to become national President of the League of Women Voters between 1924-1934. 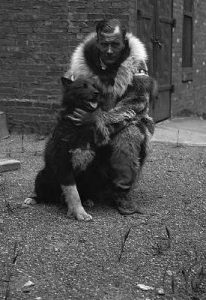 Lead sled dog and part of a team of dogs who “struggled against high winds and brutally cold temperatures” to get diptheria serum to isolated Nome Alaska in 1925. Balto and his team briefly became national heroes and then were sold to owners who made them perform at a “dime museum.” The citizens of Cleveland came to their rescue by raising money to bring them to Cleveland and allow them to live out their lives with dignity and respect. Their memory is honored to this day. 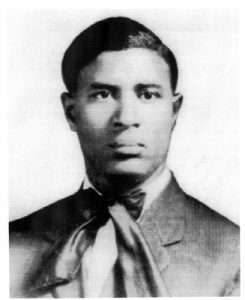 African American entrepreneur who invented first versions of the gas mask and traffic signal. He continued to invent new products all his life. 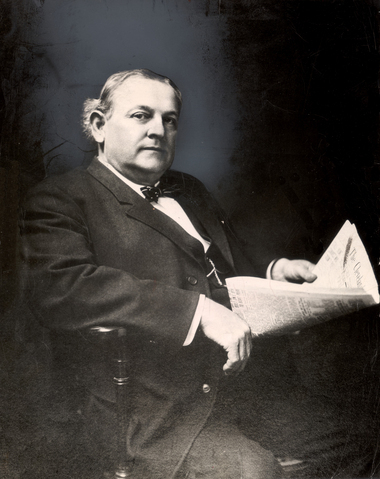 Mr. Morgan founded the Cleveland Call weekly newspaper which later became the Cleveland Call and Post. Read more about Garrett Morgan in this essay written by Margaret Bernstein. African American physician and civic leader during the tumultuous 1950s, 1060s and early 1970s. Dr. Clement was a key advisor to Carl Stokes during his run for mayor in 1967 and then he famously broke with Stokes and the two became rivals. Clement graduated from Oberlin College in 1942 and Howard Medical School in 1945. 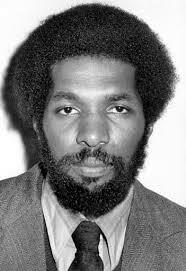 He was a national director of the NAACP and Urban League. To read about Carl Stokes’ election in 1967 click here. 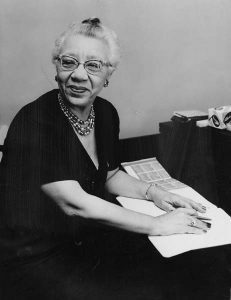 Hazel Mountai Walker was the first African American Cleveland school principal and had an impact on thousands of Cleveland school children. For 27 years between 1909-1936 she taught at Mayflower Elementary School, known for teaching students whose families did not read or speak english. Walker was an actress, involved in politics and a non practicing attorney. Here is a short video about Ms. Walker. The man who created the process for turning crude oil into kerosene. 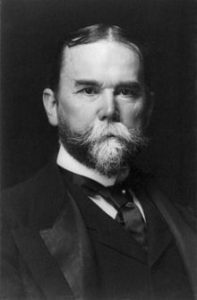 His partnership with John D. Rockefeller helped to create the oil industry. Andrews and Rockefeller had a famous falling out with Andrews leaving Standard Oil in 1874. He sold his Standard Oil stock for $1 Million which was a very big mistake, as the same stock would have been worth hundreds of millions if he had held on. 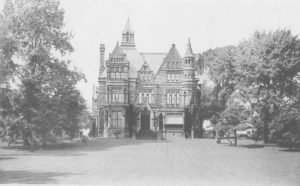 Andrews built a giant house on Euclid Avenue which was called “Andrew’s Folly” by Clevelanders because it was so impractical to live in. Here is Samuel Andrew’s biography in the Encyclopedia of Cleveland History. He was wrong. He lost money on his investment and went back to Connecticut. Its a good story, but I tend to prefer the story of Lorenzo Carter, the man who came and stayed. Mr. Cleaveland has a statue on Cleveland’s Public Square. Mr. Carter was buried in Erie Cemetary on East 9th street across from Progressive Field. The last baseball player to be killed playing the game. 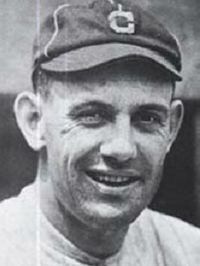 Ray Chapman was a Cleveland Indian between 1912 and his death in 1920. He was hit in the head by a pitched baseball by Carl Mays of the New York Yankees. After Mr. Chapman’s death, the Cleveland Indians went on to win the 1920 World Series. Read this story by Bill Livingston of the Plain Dealer to learn more. Also read this. 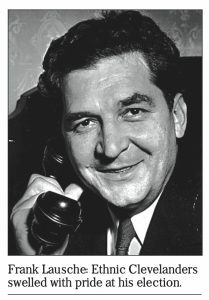 Ray Miller was Mayor of Cleveland, Cuyahoga County Prosecutor and Cuyahoga County Democratic boss for more than 20 years. He was a leader in making the Democratic Party the dominant political force in Northeast Ohio after many years of Republican rule. 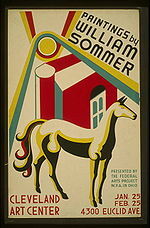 Miller helped to defeat Cleveland’s City Manager government of the 1920s arguing for a return to elected mayors. 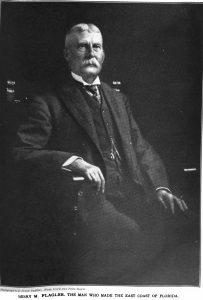 Frederick Goff helped to establish the Cleveland Foundation, the first community foundation in the country in 1914 and a model for the entire country. 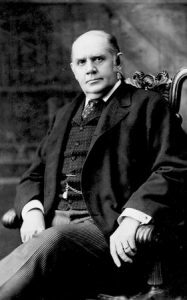 He was president of Cleveland Trust and helped to make it the largest bank in Cleveland during his tenure from 1908 thru his death in 1923. Read more about the Goff and the Cleveland Foundation here. 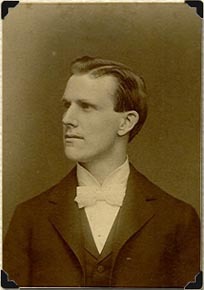 A close political ally of Tom L. Johnson and Newton D. Baker, Fred Howe was a writer, politician, lawyer, social reformer and advocate for urban areas. He is best known for his autobiography, “Confessions of a Reformer”. Read one chapter here. Also read Marian Morton’s essay about Frederick Howe and his advocacy for the “City Beautiful” movement. 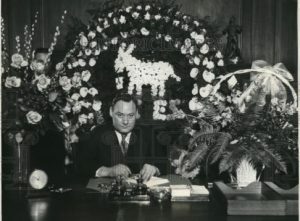 One of the most successful politicians in Ohio history, Frank Lausche was elected Mayor of Cleveland (in 1941), Governor of Ohio (in 1945) and Senator from Ohio (in 1956) and he was the first of several Cleveland mayors who were of Eastern European descent. 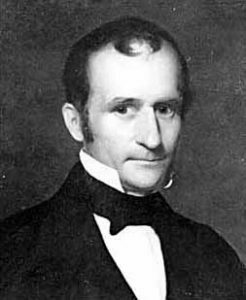 Lausche was a Democrat, but was famously known for his independence and he often took positions that were opposed by other Democrats. Here is a wonderful essay on Lausche written by Brent Larkin for the Plain Dealer Sunday Magazine on November 10, 1985. Father of the Ohio-Erie Canal and later on a strong advocate of railroad development, Alfred Kelly probably more than any other person put Cleveland on the map during the pre Civil War era. One of the first advocates of public-private economic partnerships which made it economically possible for the Canals to be built. Read Mike Robert’s essay on the building of the canals in Ohio. Businessman, Republican political leader and one of the creators of modern political campaigns. 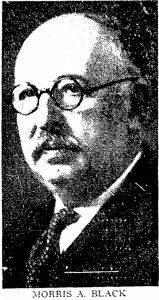 Editor of the Cleveland Press (Cleveland’s largest circulation newspaper) for 38 years from 1928 thru 1966, Selzer was a Cleveland power broker who helped to make political careers as result of his support. Read Paul Porter on Louis B. Selzer here starting on page 200-216. Paul Brown developed the techniques that revolutionized pro football during the 1940s and 1950s. The results? Paul Brown’s Cleveland Browns had the best record in the entire league during the 1950s and won 3 championships. The Grays were Cleveland’s first militia, an independant volunteer company originally formed to protect Cleveland in case of an invasion from Canada. Today the organization honors the military heritage of NE Ohio and is headquartered at Gray’s Armory. 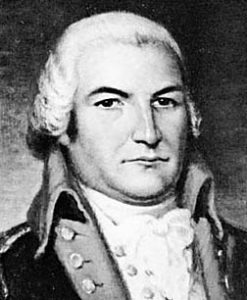 Businessman and philanthropist, from 1821-1825, as president of Cleveland village council, he was responsible for planting shade trees along streets earning Cleveland the name “Forest City”. 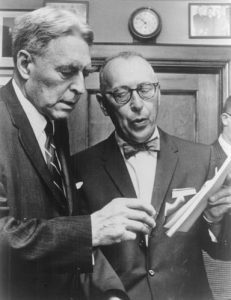 His sons helped to create Case Institute of Technology which is today’s Case Western Reserve University. 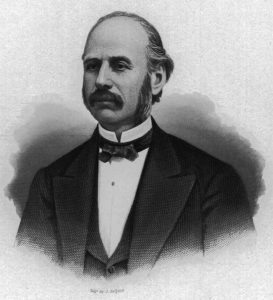 William Hopkins is best known for having Cleveland Hopkins Airport named after him. 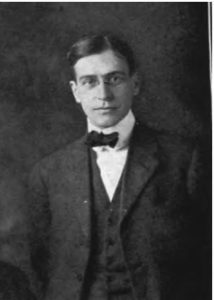 He was appointed Cleveland’s first City Manager in 1924, a non partisan position that replaced the Mayoral form of government in Cleveland from 1924 – 1932. 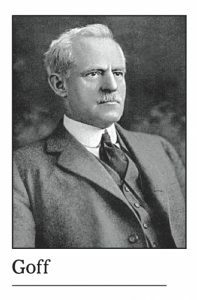 He was an extremely active City Manager and under his administration which ran from 1924-1929, he developed parks, improved welfare instititutions, laid the groundwork for the building of Public Hall and actively pushed the idea of a municipal airport at a time when air travel was very limited. 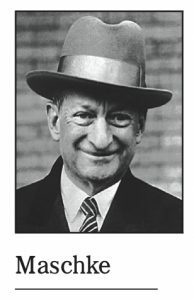 He made an enemy of Republican boss Maurice Maschke in the late 1920s who managed to have Hopkins removed as City Manager. 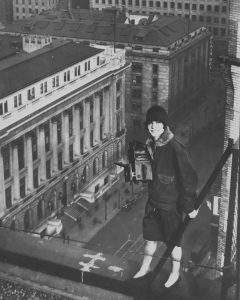 Photojournalist who made Cleveland home for a brief two years between 1927-1929, but who’s photos of the Terminal Tower and the Otis Steel Mill during that period are studied and admired to this day. The photo above on a Superior Avenue rooftop is typical of her willingness to do virtually anything to get the desired image. For more on Ms. Bourke-White, read this Mike Roberts essay that ran in Cleveland Magazine. 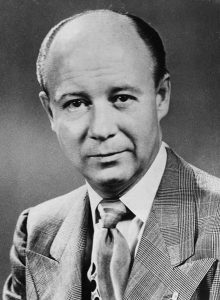 Internationally renowned conductor and music director of the CLEVELAND ORCHESTRA from 1946 through his death in 1970. 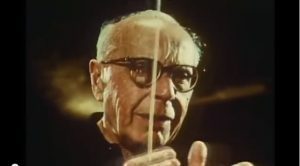 Watch this short video of Mr. Szell rehersing with the Cleveland Orchestra. 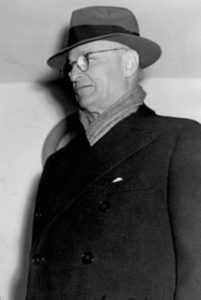 Infamous hard-as-nails President of Republic Steel Corporation during the 1930s, one of the largest employers in Cleveland, with 9,000 workers. 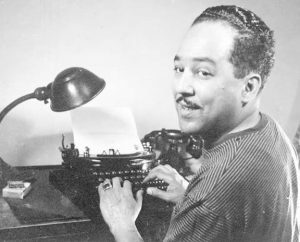 If you want his side of the story, read “Boot Straps” his 1943 autobiography. 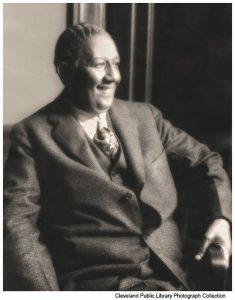 Cleveland’s first black councilman, a shrewd ward politician, Mr. Fleming was part of the Republican “Maschke machine” during the 1910s and 1920s, a time when the majority of blacks voted Republican. 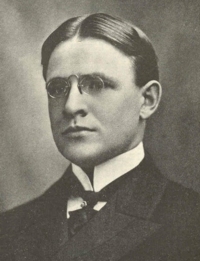 Mr. Fleming was convicted of taking a bribe that many thought was a “frame-up” which ended his political career in 1929. For more on Thomas W. Fleming, read this Cleveland Magazine article written by Eric Trickey. The father of Cleveland’s railroads. Also the father of Flora (Mather), Clara (Hay) and Adelbert. Mr. Stone had a big life, with a lot of ups and downs. During his 65 years, he saw Cleveland develop from a small town into a real city and he was in the middle of a lot of it. The father of Cleveland’s steel industry. Mr. Chisholm was “beloved” by his workers at a time when this was not always so. When he died, thousands of workers and management alike walked to his burial site at Lake View Cemetary to pay their respects. 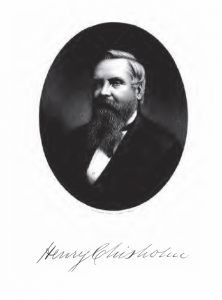 That relationship was to change after Henry Chisholm’s death when his son William ran the company. 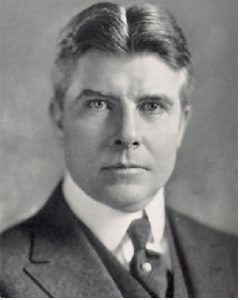 The man who helped to create the market for decaffeinated coffee in the United States in the 1920s, he also ran Cleveland Trust Bank for over 20 years. His wealth (nearly $600 million) was instrumental in creating the Gund Foundation. One of our favorites, the daughter of Amasa Stone, the founder of Western Reserve College For Women and a major player in the Settlement movement at Goodrich House. Wife of Samuel Mather and mother of 4.